There is no definitive definition of spirituality. Most people correlate the concept of going to a church or attending the religious ceremony with spirituality. Spirituality is free from religion connotation in current times and is related to the concept of personal well-being and development via several modalities. However, spirituality is frequently thought to be ‘sacred.’ This is why many outdoor enthusiasts try to gain spiritual experience by connecting with nature. The below-listed destinations are not just average or simple location; these are sacred and spiritual. And it is believed that they might have a history which contains spiritual importance. Uluru-Kata Tjuta National Park, earlier known as Uluru (Ayers Rock), is one of the most famous places in Australia. It is a flat top rock which is 1100 feet tall and has a circumference of 6 miles. The red color rock flashes hues of red and orange when sun rays fall on top of the basalt, granite rock and sandstone layers on it. People belonging to the tribe, Pitjantjatjara Aboriginal consider the rock to be sacred. Spiritual rituals and ceremonies continue to happen in the place. Visitors can notice several spiritual paintings made on the wall of the rock. 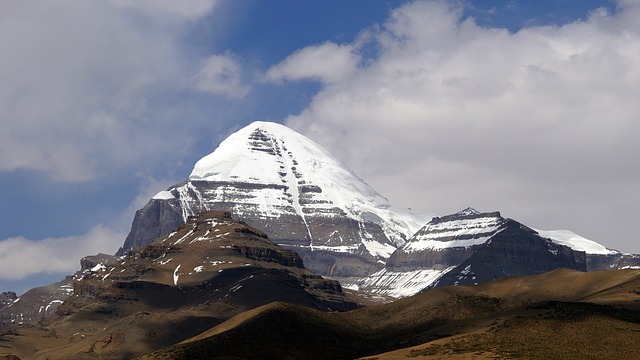 Mount Kailash is extremely sacred to Jains, Hindus, and Buddhists. It is a black color mountain which is located in the western region of Tibet. Hindus believe that Lord Shiva resides in the Mount Kailash while Buddhists believe that its residence to Buddha Demchog. The Jains believe that the mountain is the spot where the first ever Jain achieved nirvana. The peak is located close to Lake Manasarovar, another site holding spiritual value for Hindus and Buddhists. Crater Lake is believed to have originated due to an extensive eruption of Mt Mazama, around 8,000 years ago. It is the world’s 7th deepest lake and is considered as a sacred landmark of the Klamath tribe. It’s believed that a fight between Chiefs of the Above and Below World’s destroyed Mt Mazama. Later, the Crater was used by tribesmen to conduct vision quests. This is one of the major reasons why Crater Lake is considered a sacred spot still. Greece is full of historic and ancient places. Mt Parnassus is a barren limestone mountain which is situated in Greece, just above Delphi. Oracle of Delphi was a sacred place for god Apollo. It’s known that a God romanced 3 Corycian nymphs. The Mt Parnassus is also known for several minor myths. However, it is also a popular destination for hiking trails and skiing. A spiritual journey is enriching for several people certainly. However, it is important to respect when you visit a place which holds spiritual value. You should obey any guidelines and rules set for the location. And no matter which place you travel, chances are that you will discover something, connectedness, beauty, inner peace and knowledge. It is the presence of trust which elevates such spiritual places. You know very well that remaining respectful on your visit to spiritual places is necessary. You have to obey the rules and watch the devotees interacting with the pagodas and sacred tombs. Adapt the culture and discover the new tradition at these spiritual cities. Humans have constructed and created their respective ways to interpret the marvelous and multifarious world. 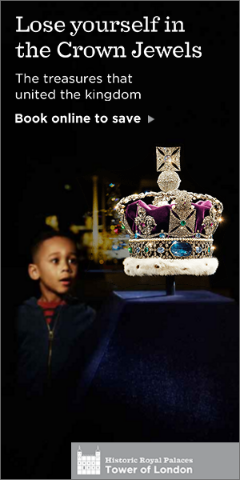 By traveling the historical places, you can able to experience and explore the spectacular environment. Develop your belief and understand a bit more about those people who believe in spirituality. The presence of faith and focus explicitly elevates these spiritual places, making them more religious. You can find knowledge, beauty, little peace, and connectedness. Kyoto was known as Heian-Kyo which is labeled as the “Capital of Peace and Tranquillity.” It is the main center which shows the Japanese culture for the past thousand years and remains the same today. The amazing city is well overflowing with the spiritual sites. You can find 1660 Buddhist temples, 90 Churches, and 400 Shinto shrines dotted in the ancient lanes. It is situated in the outskirts of the Kyoto city, and you can experience an overview of this spiritual city. You are well known with the fact that “Mezquita” is referred to “Mosque.” The Cordoban complex was split after the Islamic conquest of Iberia and was shared by Christians and Muslims. The magnificent construction began in AD 784 as a new mosque with a prayer hall and an orange tree at the courtyard. The beautiful striped lines and arches enhance the beauty of the place. The striking building is itself a spiritual, historical place that is flocked by many travelers. 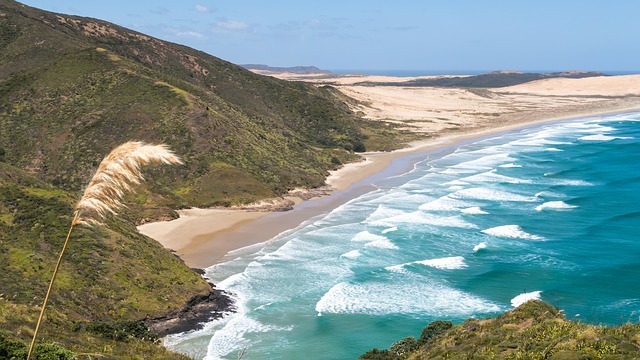 According to the mythology, the Cape Reinga is known as TeReingaWairua which is referred to as “leaping place of the spirits.” At the tip of the Northland, where the Pacific Ocean and the Tasman Sea collide, nests a pohutukawa tree facing to the cliff which sends the soul to the underworld. The old tree joins the goddess Hinenuitepo as an afterlife. Maori, the tribal people of New Zealand, feels a connection with their ancestors. For a visitor, it is a spiritual place in coupled in the North Island. The highest mountain is nested at the height of 6714m in the western Tibet. There are many names given to Mount Kailash such as mandala, “a pyramid of power” or “navel of the universe.” The place is revered with billions of people mainly the Buddhists, Jains, Bons, and Hindus and they considered to be as sacred. The main test if you are visiting Mount Kailash is to perform a kora, which is mainly a circular pilgrimage dotted with religious and prayer flags. When people visit a naturally beautiful site, the feeling and experience might present a sense of calmness and peace. However, for people in ancient times, such places held much more value. Civilizations across the globe have associated religious and a spiritual significance to natural sites which had an important role to play in their culture. Starting from mythological abodes of gods such as Lord Shiva and Zeus up to the beautiful place where Buddha attained enlightenment, such places are homes of legends. All of these places have some kind of special magi or energy which makes them scared spots. Kyoto was formerly called Heian-Kyo which means the capital of tranquility and peace. Kyoto remains to be the centre of the Japanese culture since over 1000 years. The city comprises of many ancient spiritual spots such as 400 Shinto shrines, 1600 Buddhist temples as well as 90 Christian churches. 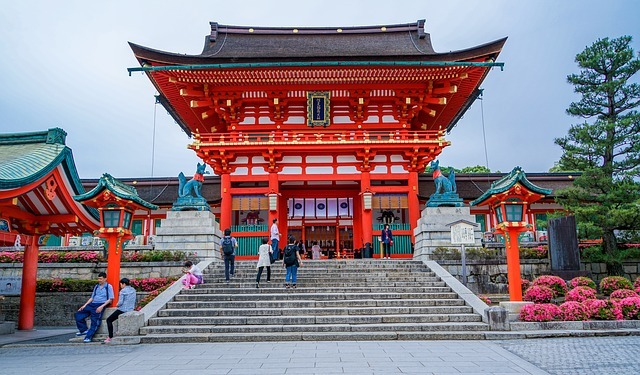 The 8th century Fushimi-Inari Shrine is a great place to get an idea of this spiritual city. Cape Reinga is believed to be the place where deceased leave and reach afterlife by joining Hunenuitepo goddess. This is why it is known as the leaping place of the spirits. For the Maori people, the place is a connecting spot with their ancient ancestors. A visitor may find the place as a dramatic spot but it holds a lot of spiritual significance. Having a surface elevation of about 3,800 meters, the Lake Titicaca is important to Inca civilization’s birth which was founded by King Manco Capac. The King is believed to have originated from a rock present on ‘Isla Del Sol’ or ‘Island of the Sun.’ As a result of this; the island became a major religious centre and had many pilgrims visiting its shrine. Presently, one can sail across the island and have a walk on the flag-stoned pathways. You can also see the beautiful Andes from the posada and visit the temple ruins as well. Avebury is surrounded with a cute village, a sanctuary, a big barrow from 3650BC and biggest mound of the world in Europe. Details as to why it is dotted with such kinds of oddities are not known to anyone. However, it is believed that was a major Neolithic ceremonial spot. People performed several kinds of rituals there and made connections with spirits and seasons. It’s said that such a connection is possible even today. Lake Atitlán, an extensive volcanic crater, is located in the Guatemalan Highlands. The lake is popular for the Maya villages bordering its shores as well as its scenic beauty. Lake Atitlán has been attracting tourists since the around eighty years. Lake Atitlán’s shores are also known for archeological sites. There is also the ruin of a pre-Spanish town named Chiutinamit which draws the attention of many visitors. Though there are many wellness holidays which offer meditation, mindfulness and other things, the biggest balm may be discovered by simply watching the shimmering Lake Titicaca or the Lake Atitlán.